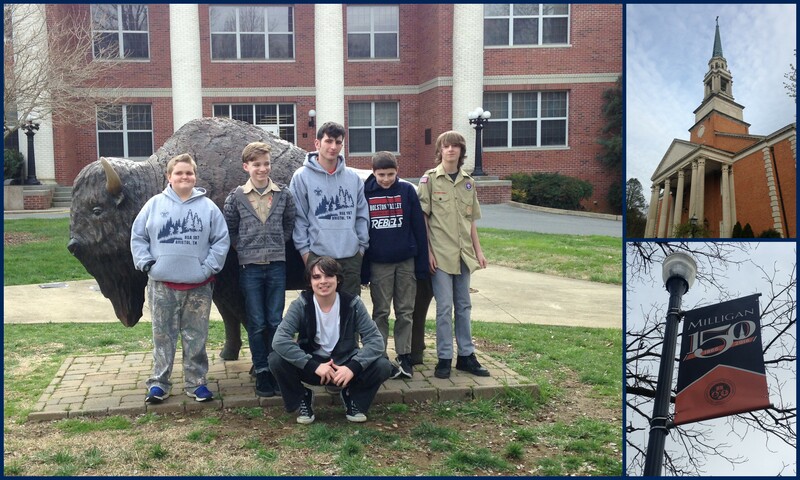 Scouts from Troop 107 participated in the 17th annual Merit Badge University. This year’s MBU was held on the Milligan College campus in Johnson City. Our scouts worked on several merit badges including: Citizenship in the Nation, Citizenship in the Community, Stamp Collecting, Engineering, Fire Safety, & Geocaching.